NORFOLK, VA.– Robinson Development Group, Inc. today announced that it has completed the acquisition of the Apartments of Stonehenge, a 452 unit apartment community in Raleigh, North Carolina on behalf of Stonehenge Investors, L.L.C., an entity managed by an affiliate of Robinson Development Group, Inc. The acquisition was sourced by Jeff Glenn, an Executive Vice President of CB Richard Ellis in Raleigh. 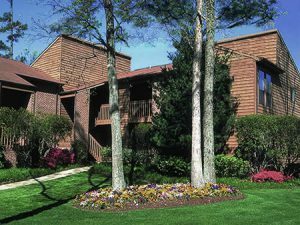 The Apartments of Stonehenge is comprised of 52 buildings, three swimming pools, two tennis courts, and a resident clubhouse. It is located in north Raleigh off of Creedmoor Road at the intersection of Stonehenge Drive. The community was 96% leased at the time of closing. The Apartments of Stonehenge are professionally managed and leased by Drucker and Falk, LLC, who will retain the account going forward. The investment strategy includes the immediate extensive renovation of the 5,000 square foot clubhouse which will feature a new state of the art multi-story fitness facility, a redesigned floor plan, and updated interior décor throughout. Robinson Development Group was founded in 1983 as a regional development company that specialized in build-to-suit projects. Since that time, we have achieved an exceptional record of success through development and acquisitions, evident in over 6 million square feet of Class A office, research, industrial, medical and multifamily properties. RDG was established on a principal of providing extraordinary service that would lead to satisfied customer relationships and repeat business. We have gained a strong reputation for both the quality and degree of service that we provide. Financial strength, professional integrity and client confidence are the cornerstone of our company.